If you’re like most people with a roof over your head, a meal in your stomach and a car in your driveway, you know first hand that living life can get pretty expensive. 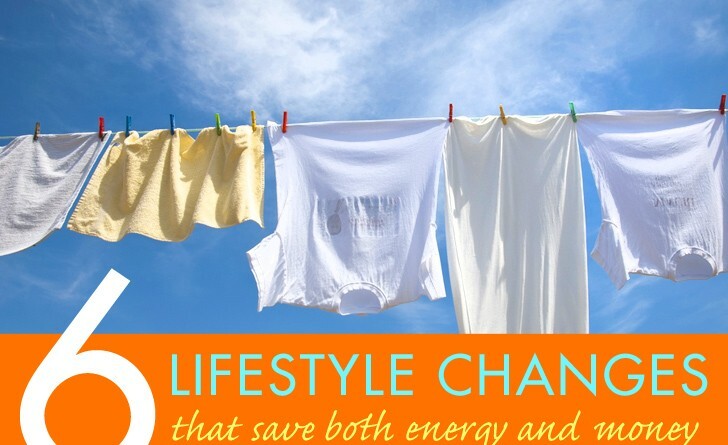 As such, simple changes to our lifestyle can make a big difference in our pockets. However, not only can they help you with keeping more money in your pocket every month, but also enable you to shed unwanted pounds and live a healthier life. These are two goals that nearly all of us can get behind. 1. Buy Bulk or Grow Your Own Food – Yeah, growing your own food is actually a very economical and cost saving option for many people. If you have a little bit of land in your yard, roughly 1/8th an acre, you can grow a lot of vegetable and fruit needs. In addition, you will also be eating a lot healthier if you need to eat things you grow yourself.Another option for city dwellers is to buy produce in bulk, and avoid buying other foods to force yourself to eat healthy at home. If you have a lot of produce that will expire soon, and no other options for food, you can come up with new and creative ways to make foods. For the non-kitchen inclined there are actually apps out there where you plug in ingredients that you have in your refrigerator and they spit out recipe ideas. 2. Get Rid of the Car – On average, Americans will spend over $8800 a year just to drive and maintain a sedan which travels roughly 15,000 miles. There are many public transit options in many areas people are not aware, and bike riding is all but accessible to the majority of drivers in the US, even for longer distances. Bike riding, with a good bike, is possible for distances of at least 10 miles each way, without requiring a person to be in tip top shape. Not only do you exercise more, you help save the environment, and save a ton of money each year. 3. Tailor Your Own Clothes – Sure, this may seem basic, but many people don’t know how to sew very well. If clothes rip, or break, they simply toss them. Unfortunately this is a waste, as sewing them closed or fixing them takes only a few minutes, but saves tons of money ($30-100 to replace the item). 4. Buy Used When You Can – For the already initiated frugal individuals out there, they’re used to buying things second hand. You can always find things second hand for cheaper than new, and often in the exact same condition. There’s a saying, the moment you drive a new car off the lot, the car loses 15% of its value at a minimum. But is the “used” car really different than the new one that point? 5. Embrace the Frugality – As we’re often told, “the more you have the better you are”, many people find it difficult to not have “stuff” around them and be able to buy even more stuff. As Amanda Folson, a blogger who writes about how to stay frugal but live like you’re not, there are ways to keep your lifestyle high, have a lot of nice things, but pay pennies for them. 6. Make the Most Out of Space You Have – Before trying to get an even bigger house or apartment, are you sure that you need it? Sure, the “American Dream” may be to have a huge mansion and barely enough furniture in it to live on, but this is just extra work for you, extra money spent, and more stuff to go wrong. Think about if you need more space, only once you fill up what you have with essentials.